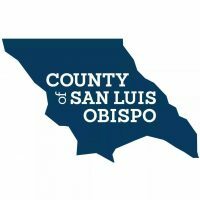 San Luis Obispo County officials filed a complaint against the county’s primary employee union and are requesting that California’s labor relations agency seek a court order to stop public health and safety workers from striking. On Nov. 16, the San Luis Obispo County Employees’ Association (SLOCEA) notified the county it plans to strike as soon as Dec. 4 unless the county meets its demands. SLOCEA represents approximately 1,775 of the county’s 2,800 employees. SLOCEA is demanding the county renegotiate terms for Fiscal Year 2018-2019 and provide union members with 2.5 percent pay increases. The county offered .5 percent raises effective July 2018, followed by 2 percent raises effective July 2019. On Wednesday, the county filed an unfair labor practice charge against SLOCE with the California Public Employment Relations Board (PERB). The charge alleges SLOCEA provided inadequate notice of a pending strike and is threatening an illegal strike because the notice covers all employees, including those who provide essential public health and safety services. Employees who perform services that, if halted, would cause a substantial or imminent risk to public health and safety are prohibited by law from participating in a strike, the county says. In the complaint filed with PERB, the county is seeking to bar 161 essential employees from striking and to place an additional 11 essential employees on-call during a strike. PERB has already begun investigating the county’s charges, according to the county. County officials hope PERB’s investigation will prompt SLOCEA to identify the dates of the planned strike and agree on the public safety positions that need to be exempted from the strike. If these issues are not resolved, PERB may file a lawsuit in San Luis Obispo County Superior Court next week, requiring proper strike notice and preventing essential public health and safety personnel from striking.